The Arcade Building in Downtown St. Louis, Missouri is an AGC 2016 Keystone Award Finalist for Mid-America Class. The Keystone Awards program honors the achievements of St. Louis construction firms and their employees in building the facilities that support and enhance the quality of life. A Keystone Award recipient exhibits excellence in providing solutions to unique obstacles and challenges specific to their project. A Keystone Award is not given on beauty. The award is based on achieving solutions during construction for the challenges faced by contractors. The Arcade Building was originally constructed as two separate buildings: The Wright Building in 1906, and the adjoining Arcade Building in 1919. At the time of its initial completion this was the tallest concrete structure in the world, as most of the steel in the US was being used in World War I. This site became part of the National Register of Historic Places in 2003 as a representative of the “Gothic Revival” architecture style. The Arcade Building is a 500,000 SQ. 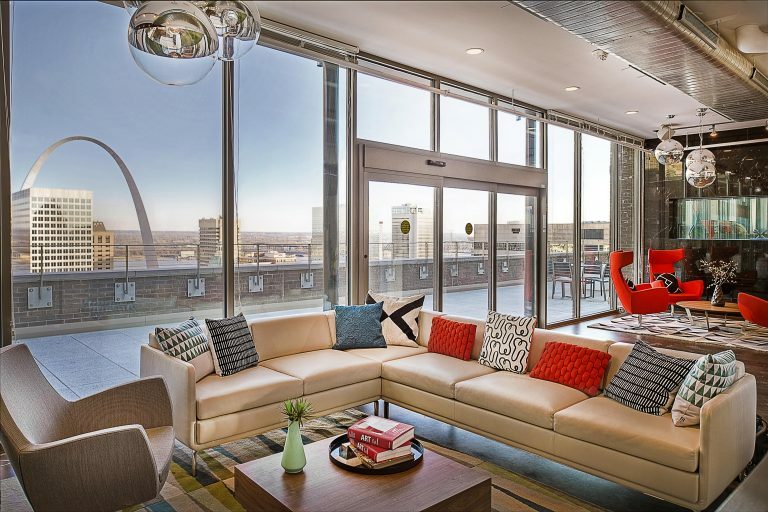 ft. complex in the heart of downtown St. Louis, Missouri. 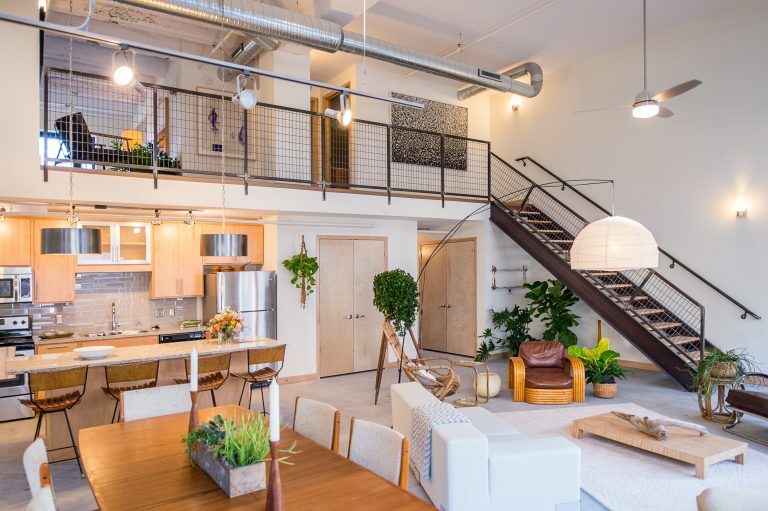 PARIC’s renovation of this 19-story historic site features 282 total units; including 201 artist lofts, 81 market units, a street-level art gallery, three floors of underground parking, as well as three lower-level floors occupied by Webster University. Because the Arcade building was the largest vacant building in Downtown St. Louis, there was a lot of local anticipation for the re-purposing of the project. This was met with 100% tenant occupancy prior to the grand opening, and also offers low-income housing. Having been abandoned for over 18 years there was a variety of substantial damages throughout, much of which would need to be assessed during the renovation of the project. The full extent of internal water damage was not identified until construction had initiated, causing PARIC to modify the initial approach. The Exterior Masonry also had a vast amount of damaged and decayed bricks, to avoid re-bricking the entire exterior a new coding solution was applied saving over $800,000 on the project. Despite the buildings vastly deteriorated condition, PARIC was able to meet the tight deadline of 11 months. 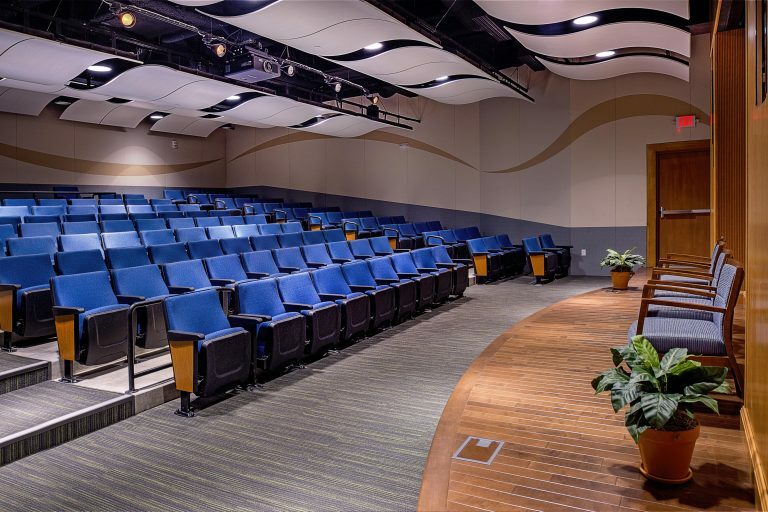 A unique challenge for this project was creating an auditorium for Webster University on the first floor. Prior to the renovation, there were two load-bearing beams on the first floor, which would need to be removed to create the needed space. In order to meet this need, two steel trusses were used to bolster the second floor which would distribute the weight of the 18 floors above, creating the open space needed for the auditorium. PARIC Corporation, one of the largest privately-held St. Louis-based companies, pairs their unique construction management approach and negotiated general construction techniques to take projects beyond expectation. Offering customers the opportunity to Experience. Excellence. in every phase of the build. Established in 1979, PARIC specializes in commercial and interiors, education, healthcare, historic and urban redevelopment, hospitality and entertainment, municipal, science and technology, senior living, and sports complexes. For more information about PARIC visit www.facebook.com/ParicCorporation, or follow them on Twitter at @ParicCorp. To learn more about AGC's Keystone award visit agcmo.org.